The buzzing musician has arrived with his first full length. 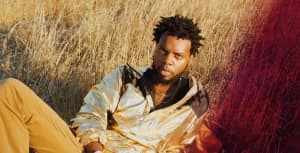 After teasing the highly anticipated project with a number of singles, serpentwithfeet has just released his full length debut album soil today. The 11-track album mainly features production from serpent himself, Clams Casino, and Katie Gately. In an Instagram post from today, serpent mentioned that all lyrics and vocals were by him. soil includes singles "seedless," "bless ur heart," and "cherubim."